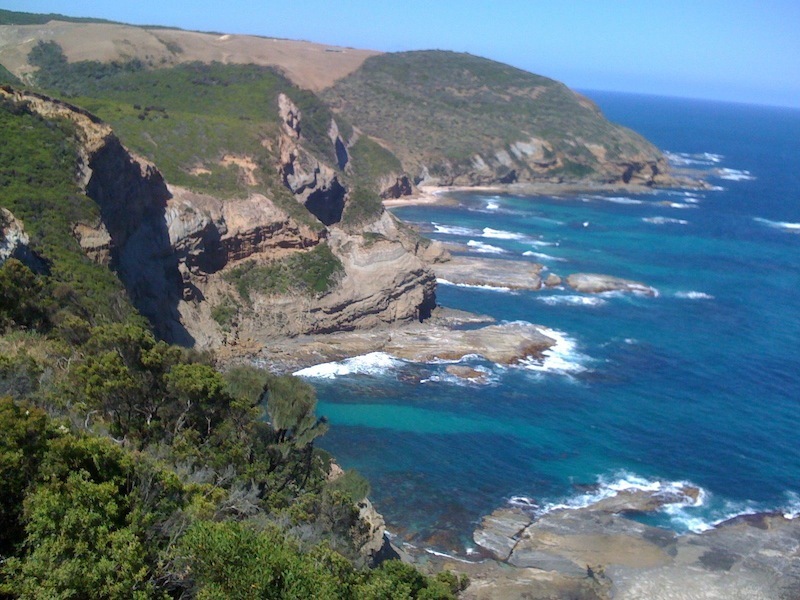 Day 7: Devils Kitchen to The Twelve Apostles - Great Ocean Walk - Comprehensive free information and advice. Devils Kitchen to Twelve Apostles. "welcome to the Twelve Apostles"
Trip Notes Devils Kitchen to Twelve Apostles. From Devils Kitchen you will follow a new section of track that hugs the wild coastal cliffs towards Princetown and The Twelve Apostles Marine Park. The wetlands around Princetown support a wide variety of bird life and you will cross the Gellibrand River on a trestle bridge. Look for the start of a new track section on the left of the picnic area as you cross the bridge. This section replaces 1.5km of road walking with about 2km of pleasant walking through the coastal scrub and escarpment. You are now on the home stretch into Port Campbell National Park and the world famous Twelve Apostles soon come into sight. 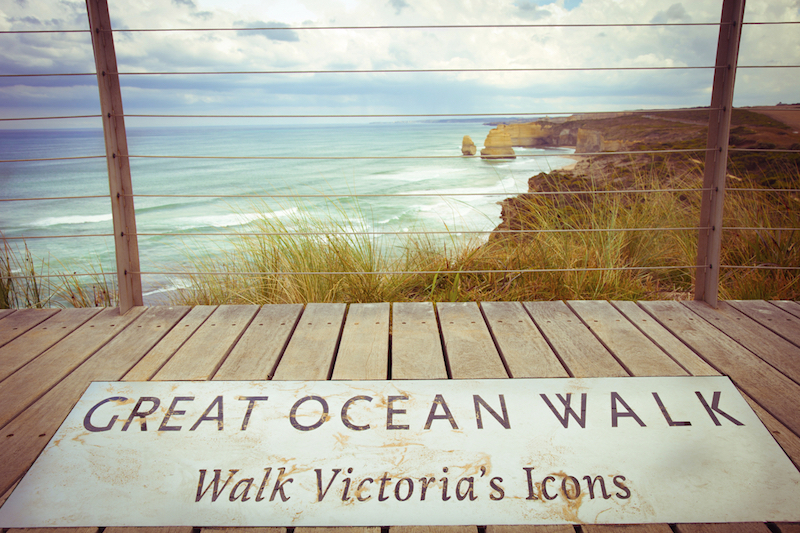 The Great Ocean Walk viewing platform is towards the end just before Gibsons Steps and a great place to get a ‘selfie’ with Apostles in the background! ( see pic below) From here the walk has now been extended past Gibson’s Steps Beach Carpark, and we recommend, tides allowing, you descend Gibsons Steps to view Gog and Mogog (not strictly counted as two of The Twelve Apostles) up close from sea level. There is an underpass which can take you to the other side of the road and the last several hundred metres to finish at the Twelve Apostles visitor centre where you’ll find toilets and a cafe, and you can toast the completion of your Great Ocean Walk!